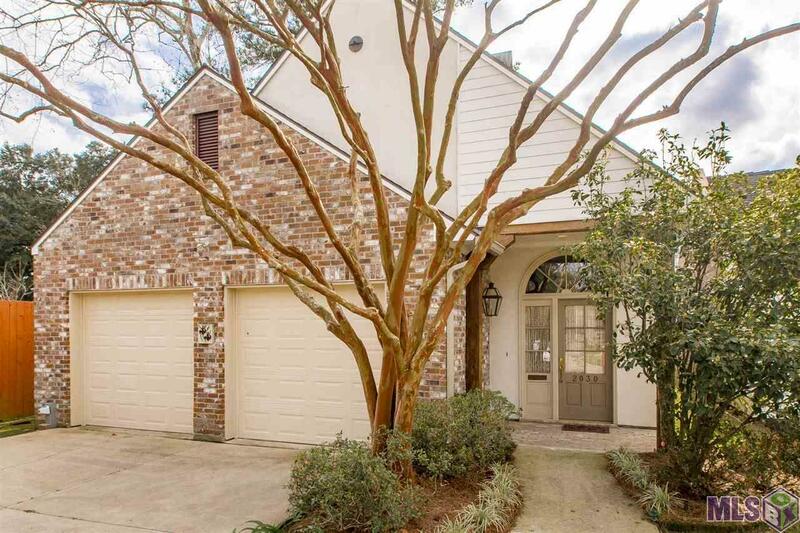 Custom built home in Camellia Trace featuring an open floor plan, granite countertops, gourmet kitchen appliances, beautiful exposed cypress beams and brick columns, 10' & 12' ceilings, gleaming wood floors, walk in closets, a bonus room/ office space, and a private landscaped courtyard. This home is pristine and move-in ready! With custom wood blinds throughout, a fireplace, gas logs, oversized double car garage with storage room, alarm system, built in bookcases, surround sound wiring, two attics, two water heaters and extra wide hallways for easy wheelchair access, this home has everything. All located in a quiet, secure, one street gated community, with easy access to hospitals, shopping, dining, schools and more! Featuring a unique architectural design by Ike Capdevielle and custom finishes by interior designer Judy Girod, ASID, this home is loaded with quality and charm.